Having new soffits, fascia’s and cladding can make a huge difference to any home giving the outside of a property a much-needed facelift. Unfortunately, like all exterior surfaces, it doesn’t take very long for the dirt, algae and moss to start building up meaning your once pristine new fixtures start looking tired, drab and dirty. If left uncleaned for a long time surfaces can become damaged and permanently marked. PureTech offers a complete cleaning service for all your homes soffits, fascias and cladding. Our professional, friendly and affordable service can transform your dirty outdoor services so they look as good as the day they were fitted. Using our professional cleaning equipment we can tackle all those difficult, hard to reach areas. 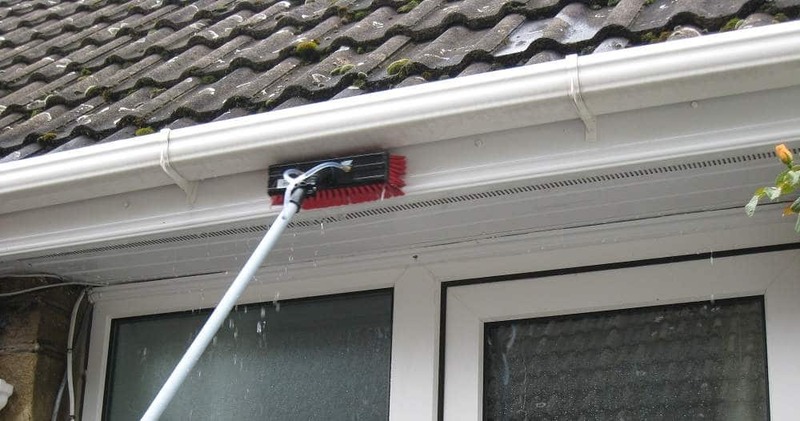 We also offer a gutter cleaning service using a high powered vac with an extended hose that can reach up to 45 feet. Our services are available for both home and business users. We are fully insured and are happy to provide risk assessments and written quotations to our commercial customers. PureTech window cleaning is based in West Bridgford, near Nottingham and we provide our services to customers throughout the city and surrounding areas. The list below shows some of the key areas we regularly work in, however, if you would like to check if we cover your area please don’t hesitate to get in touch.